Four months into his Hit and Run tour, Prince is on a roll. 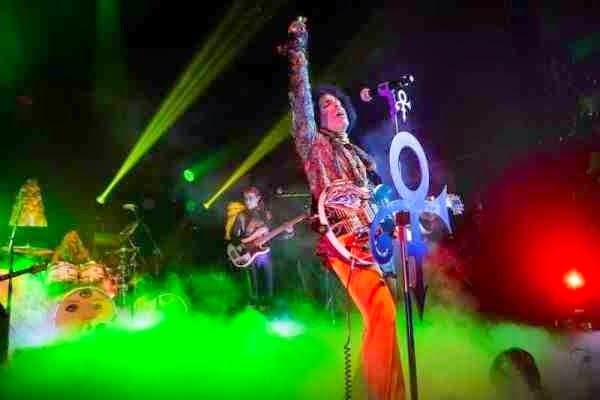 And when Prince is on a roll, he's untouchable. That's why, with 36 hours notice, he can summon 7,000 people to two consecutive shows at London's Roundhouse. I made it into the second of those - a rib-shaking, house-quaking, curfew-breaking spectacular that ended long after the last tube. Not that anyone seemed to mind. 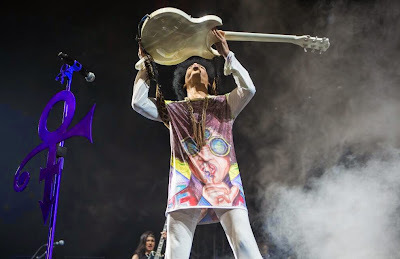 Prince took the stage at 10:30, just an hour after he'd wrapped up the first show, but he was fresh as a Paisley daisy, ripping into a grinding Let's Go Crazy before reeling off Raspberry Beret, U Got The Look, Kiss, When Doves Cry and Sign O The Times. No breaks, no pauses, no sweat, no problems. It's easy to forget Prince has been playing this material for 30 years now. The music is so effortless it seems like it's just occurred to him in the moment. His face contorts with every note of every guitar solo. He exudes passion and joy. 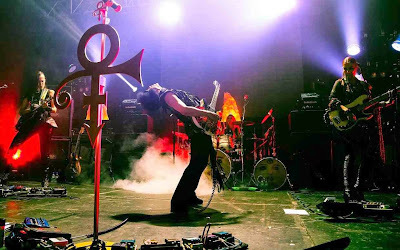 And 3rdEyeGirl - his dazzlingly versatile band - can turn on a dime, bending the music to his whim with nothing more than a nod of a head. "How many hits have we just played?" 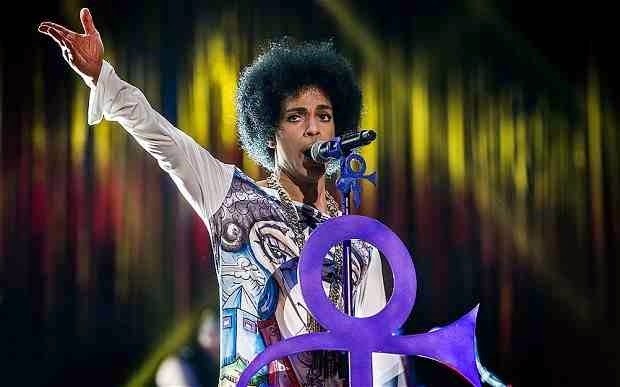 Prince grinned at the 45-minute mark. At a rough estimate, I'd have said two thousand zero zero - but the party still wasn't over (sorry, couldn't resist). So on it went: Controversy gained a funky, polytonal guitar lick; Little Red Corvette was slowed down and drawn out; and Purple Rain blossomed into a 10-minute singalong with three false endings. It was so good, the couple next to me disobeyed the "no cameras" rule and got their phones out. They were forcibly removed by a bouncer. They must be kicking themselves today, because they missed almost an entire hour of music. Having dispensed with the hits up-front, Prince plucked hidden gems, album cuts and semi-improvised blues jams out of his lustrous afro, trading riffs happily with Donna Grantis (guitar) and Ida Nelson (bass). The highlight was a 15-minute run-through of Something In The Water (Does Not Compute), from the album 1999. "Take it to church," Prince directed keyboard player Cassandra O'Neal, who laid down some chunky gospel chords while he led the audience in an extended dance of call-and-response vocals. Almost as good was the set-closer - an early-90s cast-off called What's My Name, which Prince originally released on a telephone hotline (yes, really). Rarely played live, it turned the Roundhouse into a heaving midnight moshpit. "We've all got families," Prince said as the show closed, "but tonight I'm putting 3rdEyeGirl up for adoption". "If you promise to look after them from now on, you'll get me half-price." It's a deal. Where do I sign?